NEW DELHI: The anticipation is high for the result for the Chartered Accountants Final examination held in May 2017 and Common Proficiency Test (CPT) held in June 2017. The result is expected to be declared today. As per a notice published on the official website of The Institute of Chartered Accountants of India (ICAI) the result is likely to be released on the website around 2:00 pm. The institute will also release the merit list along with the result. The Merit list will comprise of the names of such students who secure minimum 55% marks and up to 50th rank in the final exam in accordance with the decision of the Examination Committee. How to check CA Final Exam and CPT 2017 Result? As per estimates, a total of 1,32,007 students appeared in the CA final examination. While more than 90,000 students appeared in the CPT exam held in June 2017 at 372 centres across the globe. KEAM (Kerala Engineering Agriculture Medical Degree) is expected to release the NEET 2017 Kerala State Merit List (SML) on its official website cee.kerala.gov.in on Friday. The candidates seeking admissions in MBBS, BDS, BAMS and other courses are awaiting this result for the 2017-18 session. KEAM had earlier issued provisional State Merit Lists based on NEET rank for verification. As per reports, 51,066 candidates had submitted their applications for medical admissions in Kerala. based on the NEET UG result. Deric Joseph of Kannur who had secured the All India Rank 6 in NEET, has bagged the first rank in Kerala Medical rank list by scoring 691 marks and got 99.999358 percentile score. How to Check KEAM Results: NEET 2017 Kerala State Rank List? A total of 45,363 students have qualified for the admission in the MBBS/BDS courses in the state. Candidates who have scored 131 marks in NEET UG 2017 had qualified in NEET 2017 in the General category. For OBC/SC/ST, the cut off was 107. For General PH it was 118. The NEET 2017 results were expected on June 12th last month, but were delayed due to a Supreme Court order. The State Merit List for Kerala will be based on NEET Scores of the candidates subject to their category viz General Category Candidates will need 50 percentile, SC/ST will need 45 percentile and OBC will need 45 percentile to make it to the list. The Commissioner for Entrance Examinations, CEE Kerala is the authority responsible for holding merit based admissions to MBBS/ BDS & other allied courses being offered in the government, private, unaided institutions as well as in deemed medical universities. As per the Supreme Court’s verdict of last year, all the admissions for the academic session 2017-18 will be on the basis of merit of NEET UG 2017. There are around 4,000 MBBS & 2,000 BDS seats in the institutions of Kerala. The Medical Counselling Committee (MCC) is holding counselling for admission to 15% All India Quota seats, while CEE Kerala has commenced counselling for the remaining 85% State Quota seats. Bachelor of Science-Agriculture – B.Sc. (Hons.) Agri. The students included in NEET rank list will be asked to enter the options (of course & institution) and the allotments will be done as per the merit only. NEET rank list/ MBBS merit list will be published in this week only, most probably on July 13 (today). The last date for submission of application form is July 8. Catch all the latest updates on MBBS admission in Kerala here. CEE Kerala had asked the candidates seeking admission to MBBS/ BDS and other allied courses to submit their NEET UG 2017 result through CEE website by July 8, after giving third & final extension. The data provided by the candidates is to be used for the preparation of State Rank Lists. Through a notice issued on Monday, CEE Kerala has asked the applicants to verify their details so that the NEET rank list could be prepared. The candidates are required to verify their details such as NEET roll number, NEET UG rank, percentile score and other details mentioned therein. Those candidates who have not taken the printout of NEET Result Submission Report, they can do so from the official website (www.cee.kerala.gov.in) by clicking on NEET Result Verification Link, CEE said. The candidates have also been instructed to report the discrepancies in the details to CEE before 5 pm, July 12. CEE Kerala wrapped up the online application process for admissions to MBBS, BDS and other medical courses on July 8 and now the registered students are waiting for the publication of NEET rank list 2017 through which the actual admission process will commence. The admissions to medical & allied courses will be strictly on the basis of results of National Eligibility and Entrance Test (NEET UG 2017) and total 51,066 candidates have submitted their NEET UG result for admissions in Kerala, CEE said in a press release. Karnataka Secondary Education Examination Board (KSEEB) has released its Secondary School Leaving Certificate (SSLC) supplementary exam 2017 results on its official website on Thursday. The board conducted the Karnataka SSLC exams 2017 in the month of March at various test centres across the state. The supplementary examination is conducted by KSEEB for candidates who failed in the SSLC examination in June. The exam is conducted to help successful students join higher education courses in the same academic year from July. The Class X exams were held in Karnataka from 30 March this year, and 8.77 lakh students had appeared for it. This included 4.69 boys and 4.07 lakh girls. Around 73.26 percent managed had to pass. The results were down from 79.16 percent in 2016, and way lower than the 81.82 percent pass percentage recorded in 2015. KSEEB conducts the supplementary examination for the failed candidates of the examination of March in June. The exam is conducted to help successful students join higher education courses in the same academic year from July. The Directorate of Higher Education DHE Odisha is expected to declare the second allotment results for Degree +3 courses today on the official website dheodisha.gov.in. Applications for around 2,17,973 seats across 834 colleges were invited by the DHE Odisha in the e-admission process. 1,24,748 had been filled by the candidates who got the seats allotted in the 1st selection list. The results of 2nd allotment were expected on 8th July however it got delayed by the department. The intimation letter will be sent to the selected applicants by DHE Odisha through SMS (if the mobile number is registered with CAF) or through E-mail. Students can look forward to the admission process due to begin from July 13 onwards with the third list slated for July 18 release, according to reports. 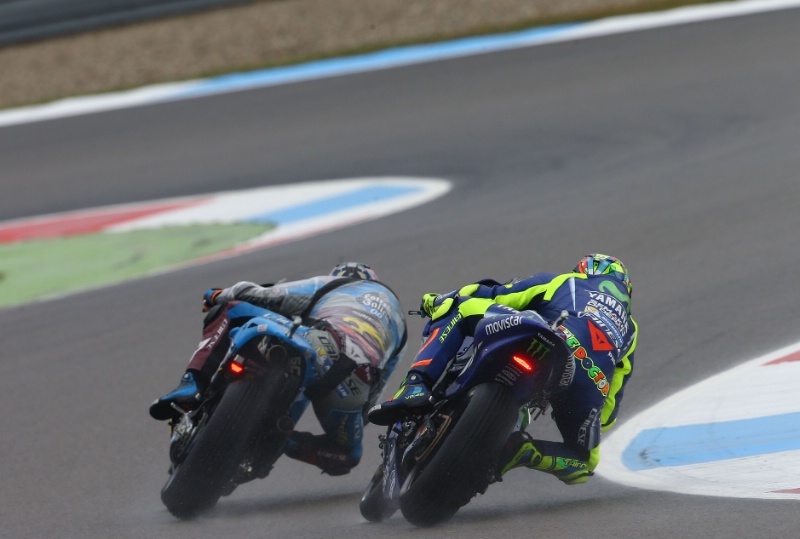 The official website, however, is taking its own sweet time owing to heavy traffic. It will take you to another window where you can enter your Registration Number, Password and Date of Birth to login to your account. Your result will be displayed and you can download it to take a print out for further reference. DHE Odisha Plus 3 Second Selection List 2017 Live Updates: The second selection list for degree admission in the state of Odisha will be released today by the Department of Higher Education (DHE), Government of Odisha at 11 AM on the official website dheodisha.gov.in. Candidates who are in line for admission and are waiting for the list, can check the same as soon as the llist has been released by DHE. The list was earlier supposed to be released on July 8, but the date was changed a day before. The intimation letter to the selected candidates will be notified through SMS, Email, Official Website of DHE Odisha as well as on the College Notice Boards. The 3rd Allotment Results by DHE Odisha are expected by July 18th and the classes for Degree + 3 courses will commence on July 24th. The Indian Council of Agricultural Research (ICAR) will release the All India Entrance Examination (AIEEA) Result 2017 on July 5, 2017. Once the All India Entrance Examination results are declared, the students can check their All India Entrance Examination results 2017 at icarexam.net. The ICAR conducts the AIEEA for providing admissions to Under Graduate and Post Graduate courses in Agriculture Research. Initially, the results were expected to appear on June 30. Enter the details like your name, roll number etc. AIEEA UG exam was held on June 10, 2017, AIEEA PG exam was conducted on June 11, 2017 and AICE – JRF/SRF(PGS) exam was held on June 11, 2017. 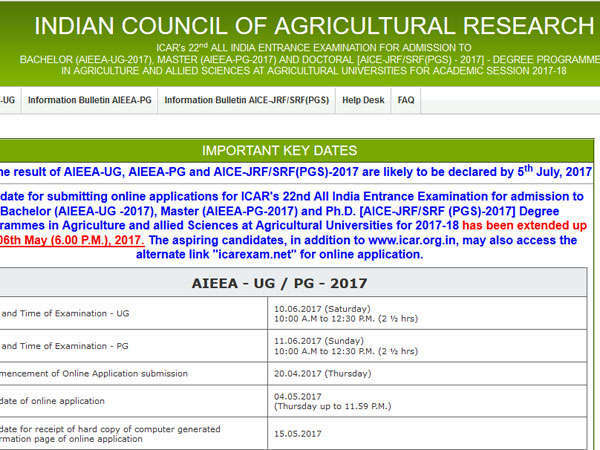 The date for submitting online applications for ICAR’s 22nd All India Entrance Examination for admission to Bachelor (AIEEA-UG-2017), Master (AIEEA-PG-2017) and PHD (AICE-JRF/SRF(PGS-2017) Degree programmes in Agricultural Universities for 2017-18 was extended till May. The aspiring candidates, in addition to www.icar.org.in, may also access the alternate link ‘icarexam.net’ for online application. The ICAR conducts the AIEEA for providing admissions to Under Graduate and Post Graduate courses in Agriculture Research. 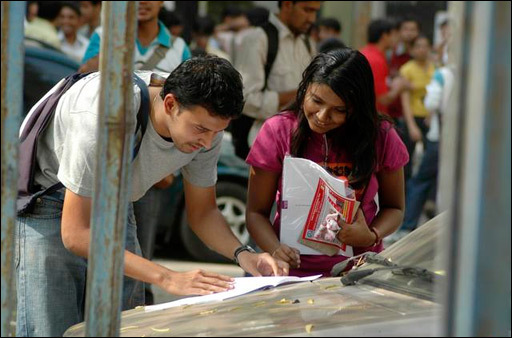 Once the results will be declared, all the candidates can check the same at icarexam.net. ICAR ही AIEEA की परीक्षा लेता है और इस‍के माध्‍यम से एग्रिकल्‍चर रिसर्च में अंडरग्रेजुएट और पोस्‍टग्रेजुएट कोर्सों में एडमिशन मिलता है. खबर है कि इंडियन काउंसिल फॉर एग्रिकल्‍चर रिसर्च यानी ICAR आज इस एंट्रेंस के रिजल्‍ट जारी करेगा. - ऑफिशियल वेबसाइट icarexam.net पर जाएं. - होमपेज पर जाकर हर प्रोग्राम के लिए आपको एक अलग रिजल्‍ट लिंक दिखेगा. - लिंक पर क्लिक करें, सब्मिट करें. - रिजल्‍ट दिखने लगेगा. इसे डाउनलोड करें और प्रिंटआउट लेकर रख लें. गौरतलब है कि यूजी प्रोग्राम के लिए एग्‍जाम 10 जून को लिया गया था और पीजी कोर्सों के लिए 11 जून को. 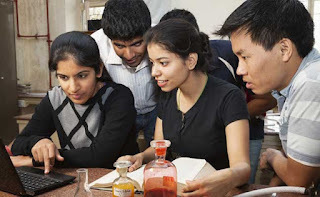 Mumbai: The State Common Entrance Test Cell, Government of Maharashtra in coordination with Directorate of Technical Education (DTE Maharashtra) has displayed online the Provisional Allotment of CAP Round-I of the students who have applied for different engineering courses after a delay of more than 07 hours. As per the announced schedule, the Provisional Allotment Status of CAP Round-I was supposed to be displayed on Wednesday June 28 before 05:00 pm. It was however delayed, with the DTE first saying it will be displayed by 11:00 pm then saying by 12:00 am. It was finally displayed at 12:30 am on Thursday June 29. The DTE Maharashtra further said that Reporting to the Admission Reporting Center(ARC) as per Allotment of CAP Round I should be done from June 29 to July 03, 2017 at 05:00 pm. The Final Mertit List for Maharashtra Engineering Admission 2017 is now online on the DTE Maharrashtra official website dtemaharashtra.gov.in. It contains the names of the students who have applied for admission to first year Engineering for the academic year 2017-18. Display of Provisional Allotment of CAP Round-I Pharmacy Courses will be done on June 30. Display of Provisional Allotment of CAP Round-I for students of Architecture will be done on July 07, 2017, according to DTE Maharashtra. The Maharshtra Admission 2017 process started after the HSC and MHT-CET results were declared. Students were directed to apply online and verify their documents at Admission reporting Centres (ARCs) till June 17. The last date was however extended by one more day and students applied online till 05:00 pm on June 18, 2017. The Provisional Merit List, released on June 19, is currently online. The State Common Entrance Test Cell had earlier published a video explaining to the students how to fill the online application form for First Year Maharashtra Engineering Admission 2017. Candidates through Maharashtra Engineering, Architecture, Pharmacy and Hotel Managament admission process can get the chance to study at a college affiliated to one of the 12 universities of Maharashtra. 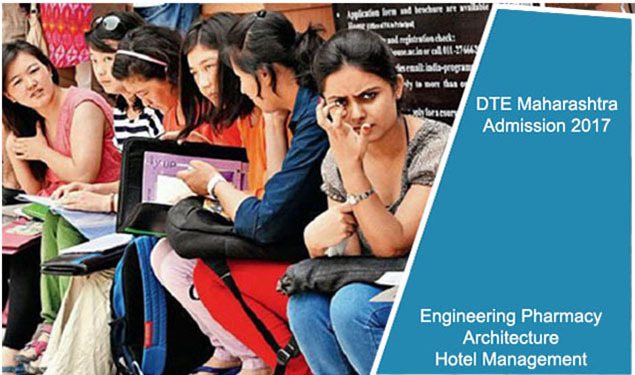 The process is also applicable for admission to direct second year of Engineering and Technology. 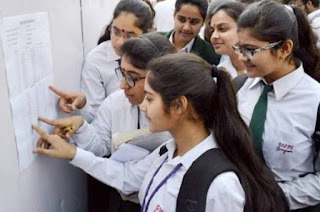 The provisional allotment list for Engineering Common Admission process (CAP) round I has been released by Maharashtra government in coordination with the Directorate of Technical Education on Thursday. Candidates can also check their provisional merit status from the DTE Maharashtra official website, www.dtemaharashtra.gov.in. The provisional allotment list, which was scheduled for release on Wednesday, reflects the college and courses allotted to students based on their ranks in the merit list. Click on the Provisional Allotment link for CAP round I for BE/B.Tech. courses. Click on submit and your allotment status would be displayed. This year, DTE will conduct counselling sessions for All India Quota seats on the basis of the rank in Joint Entrance Examination (JEE) Main 2017, according to NDTV. The report said that the next step for students who have been allotted their desired course and college is to report to the Admission Reporting Centre (ARC) between 29 June to 3 July. The vacant seats for CAP round II will be displayed on 5 July. The Central Board of Secondary Education (CBSE) has declared National Eligibility and Entrance Test NEET Result 2017 on cbseresults.nic.in and cbseneet.nic.in. Last week the Supreme Court had set aside an order by Madras High Court staying the declaration of results and directed CBSE to declare NEET 2017 Result by June 26. Punjab boy Navdeep Singh has topped the NEET with a score of 697 marks out of 720. Archit Gupta from Madhya Pradesh and Manish Mulchandani have secured the second and third position respectively. > Click on CBSE NEET UG Result 2017. You will be directed to another page. > The result will be displayed on the screen. Do not forget to save a copy and take a print out for future reference. The wait for results has been a long-drawn one for students. Results were earlier scheduled to be declared on June 8, but were delayed after the Madras High Court stayed the declaration on a plea alleging lack of uniformity in question paper. A total of 11, 38,890 students are said to have registered for NEET examination, conducted in 10 different languages across 1,921 exam centres this year. This includes 1,522 NRIs, 480 OCIs, 70 PIOs & 613 foreign students. 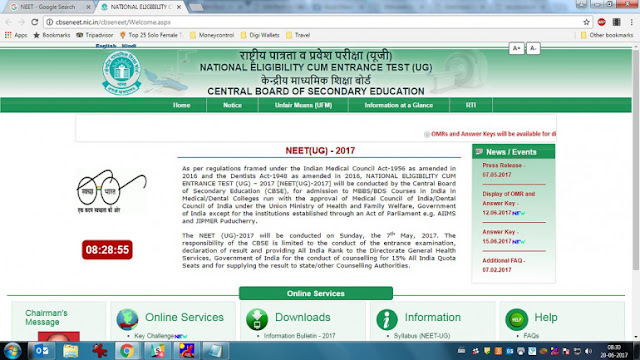 > The NEET common entrance examination, initiated in 2013 to end multiple entrance exams for admissions to undergraduate medical exams such as MBBS and BDS, was conducted on May 7 this year. The results were slated to be released on June 8. 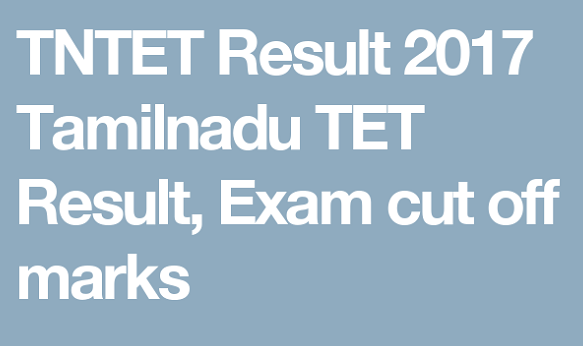 > On May 24, the Madurai bench of the Madras high court stayed any further process with regard to the NEET Result 2017 until June 7 responding to a joint written petition by a group of students from Madurai seeking cancellation of NEET 2017. 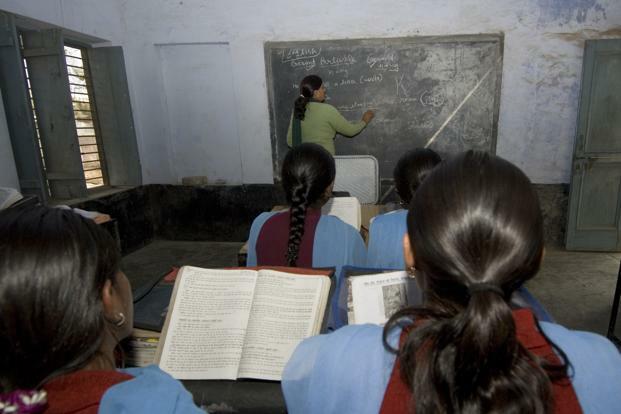 Alleging the question paper set in English, Hindi and 10 other vernacular languages, including Tamil, was simpler in some states compared to others, the students sought cancellation of the examination and a re-examination. > CBSE clarified that the decision to set papers in different languages was meant as a safety measure to avoid conducting the entire exam again if a particular paper leaked. > While the Apex Court initially refrained from taking up an appeal by the CBSE, it later agreed when Additional Solicitor General Maninder Singh sought an urgent hearing. He expressed concern the delay in declaring the NEET results 2017 would cause anxiety to students and also defer the already fixed admissions schedule to undergraduate courses - MBBS and BDS - in government and private medical colleges. > On Monday the vacation bench of SC -- Justice Prafulla C. Pant and Justice Deepak Gupta – stayed the HC order and also barred the high courts in the country from entertaining any petition on NEET results 2017 saying, "High courts shouldn't have interfered as it affects the schedule of the admission". > SC will also examine if there is need for uniformity in English and vernacular question papers for NEET. > This year a total of 11,38,890 students are reported to have appeared for NEET 2017 exams for 65,000 seats in MBBS and 25,000 seats in BDS. 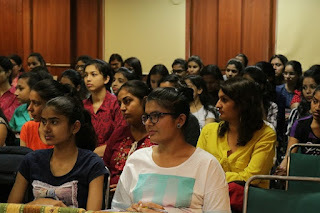 Of these students, 1,522 were non-resident Indians and 613 were foreign nationals. The TEF is a government-backed assessment of undergraduate teaching quality across all higher education institutions in England, which also includes some institutions in Scotland and Wales (with others opting not to take part). The results in full are published below, along with each institution’s position in the Times Higher Education World University Rankings 2016-2017 and its research excellence framework grade point average. The THE world ranking and REF scores are for information purposes only, and do not inform the TEF results. Our TEF results table features 134 higher education institutions, plus three alternative providers with university title. About one in three of these colleges and universities (45) received the top rating: gold. The silver rating was given to 67 institutions, with 25 receiving the lowest rating, bronze. Among those in the top category are the University of Oxford and the University of Cambridge, along with six other institutions from the Russell Group (the University of Birmingham; the University of Exeter; Imperial College London; the University of Leeds; Newcastle University; and the University of Nottingham). At the other end of the scale, a number of world-renowned universities received a bronze award. These include the London School of Economics, the University of Southampton, and the University of Liverpool – all members of the Russell Group. To find out which universities got gold, which universities got silver, and which universities got bronze, view the table below. For a more detailed table, view the THE TEF metrics table. Aberystwyth University; Brighton and Sussex Medical School; Cranfield University; Edinburgh Napier University; Glasgow Caledonian University; Glasgow School of Art; Heythrop College; Hull York Medical School; Liverpool School of Tropical Medicine; London Business School; London School of Hygiene and Tropical Medicine; Medway School of Pharmacy; Queen Margaret University; Royal College of Art; Royal Conservatoire of Scotland; SRUC; St Mary's University College; Stranmillis University College; Institute of Cancer Research; National Film and Television School; Open University; Queen's University Belfast; Regent's University London; University of Aberdeen; University of Edinburgh; University of Glasgow; University of Stirling; University of Strathclyde; University of the West of Scotland; University of Wales (central); University of London (institutes and activities); University of South Wales; University of the Highlands and Islands; and Ulster University. The following alternative providers received a provisional TEF award because there was not enough data available for a full assessment: ABI College Limited; The Academy of Contemporary Music Limited; Access to Music Limited; ALRA; Architectural Association (Incorporated); Assemblies of God Incorporated; BIMM Limited; Bristol Baptist College; Brit College Limited; City and Guilds of London Art School Limited; CWR; East End Computing & Business College Limited; The Edward James Foundation Limited; University College of Estate Management; Fairfield School of Business Ltd; Futureworks Training Limited; Grafton College Limited; Hy Education Limited; ICMP Management Limited; Kensington Education Foundation Limited; The Kingham Hill Trust; KLC Limited; London Bridge Business Academy Limited; London College of Creative Media Limited; The London Institute of Banking & Finance; London School of Business and Management Limited; London School of Management Education Limited; London School of Science & Technology Limited; London School of Theology; Luther King House Educational Trust; Met Film School Limited; Moorlands College; Nazarene Theological College; Nelson College London Limited; Norland College Limited; Northern College of Acupuncture; Oxford Business College UK Limited; Pearson College Limited; Point Blank Limited; The Queen's Foundation for Ecumenical Theological Education; RTC Education Ltd; SAE Education Limited; The Salvation Army; Spurgeon's College; Stratford College London Limited; Tertiary Education Services Limited; Trinity College (Bristol) Limited; UCK Limited; UK College of Business and Computing Ltd. Methodology: how is the TEF calculated? Six core metrics lie behind each university’s final award in the teaching excellence framework. Three of these come from the National Student Survey and relate to students’ views on the quality of teaching, assessment and academic support received. A fourth metric is based on a university’s dropout rates, while the final two relate to what graduates did after leaving. On each metric, universities received a positive or negative flag if they were above or below a benchmark based on the profile of their student cohort, or a double flag if they did particularly badly or well. The overall number of flags gave the initial rating: gold for those with three or more positive flags (either single or double) but no negative flags; bronze for those with two or more negative flags (regardless of other results) and silver for the rest. The assessors then adjusted this initial rating depending on an institution’s performance in “split metrics”, the same measures but split among different groups of students according to characteristics like gender, ethnicity and social background. Assessors then reviewed the metrics result against individual written submissions given by each university. Depending on the contextual evidence provided, universities may have had their award adjusted up or down. The assessors finally considered their rating “holistically” against a “descriptor” of gold, silver or bronze teaching provision, further going back and revising their decision if they feel it did not match this description. This article outlines the purpose of the TEF, how it works, and discusses the extent to which the results provide valuable information about the quality of undergraduate degree programmes. In 2012, tuition fees for UK and European Union students in England were increased to a maximum of £9,000. All English universities now charge this maximum but the government is concerned that these flat fees mask large differences in the quality of degree programmes. The government has introduced the TEF with the intended purpose of providing students with better information about the quality of degree programmes so that they can make more informed choices about where to study. The government’s intention is also to raise the profile of teaching and ensure that it is better recognised and rewarded by universities. Currently, to raise fees in line with inflation, institutions need to make a TEF submission. In the future, increases in fees may be tied to TEF outcomes. Institutions that opted into the TEF this year were examined on three sets of metrics: students’ views of teaching, assessment and academic support from the National Student Survey (NSS); student dropout rates; and rates of employment. It is notable that none of these metrics directly measure the quality of teaching, although the NSS does give an insight into students’ perceptions of teaching. Instead, the metrics focus on examining the assumed effects of teaching. Each submitting institution’s performance on these metrics was benchmarked against the demographic characteristics of its students, and its performance was flagged when it was statistically significantly better or worse than its benchmark. Assessors made an initial assessment of an institution’s performance based on its number of positive and negative flags and then examined contextual information and a 15-page institutional submission outlining the institution’s case for the excellence of its teaching. Based on this, institutions have been awarded a gold, silver or bronze TEF award. While the TEF metrics do not directly measure the quality of teaching, there is a logic to them. The quality of a degree can reasonably be expected to be related to student perceptions of teaching, support and assessment, and to the proportion of students staying on their degree programmes and gaining employment or a place on a postgraduate course. While some have criticised the use of NSS results because teaching evaluations can discriminate against female and minority ethnic lecturers, this is based on a misunderstanding of the NSS. The NSS is focused on teaching across a whole degree programme and so does not differentiate between individual lecturers. Does a gold TEF award mean that prospective students know that they are applying to an excellent degree programme? A gold TEF award is based on an institutional level assessment. The same university can offer programmes that differ significantly in quality, which means that the TEF award does not tell prospective students about the quality of individual degree programmes. 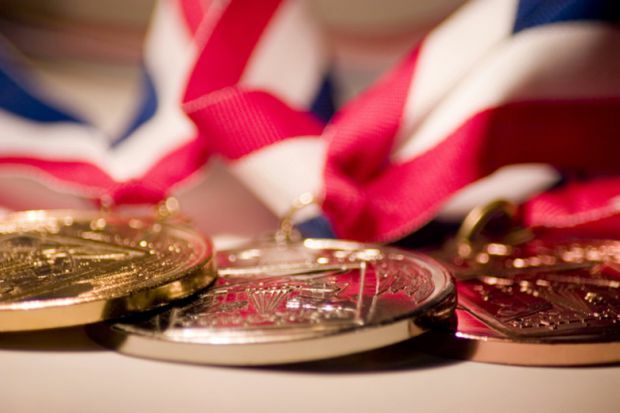 This means that it is highly likely that there are excellent degree programmes in universities with bronze awards and less good degree programmes in universities with gold awards. In addition, any student who uses the TEF to inform their choice of university will not graduate until at least four years after the metrics were taken and, as the TEF award is for three years, students on four-year degree programmes could be relying on data that is eight years old. By this time, it is entirely possible that the quality of teaching at that university will have fallen. TEF judgements are based on assessment criteria that examine “teaching quality”, “learning environment” and “student outcomes”. For example, the assessment criteria for “teaching quality” focus on the extent to which an institution: encourages student engagement, values teaching, offers programmes that involve rigour and stretch, and offers effective feedback on student work. It is unclear how these criteria were selected and why others, such as teaching expertise, were excluded. This raises questions of how the criteria form a coherent whole indicating something important about the excellence of teaching. These questions undermine the claim that the TEF offers a valid measure of high-quality teaching. If the TEF is to lead to improvements in the quality of teaching in universities, then improvements in performance on the metrics used must be possible only through improvements in the quality of teaching that students experience. The three sets of metrics used this year are reasonable although, as discussed, there are weaknesses around the focus on the institutional level, the dated evidence that informs the metrics, and the lack of a coherent view of excellent teaching that informs the TEF. In the future, the government wants to increase the number of metrics that are used and there are strong indications that this will include a metric related to the amount of contact hours on a programme. However, there is no evidence that contact hours are a valid measure of teaching quality. Conversely, factors that are known to be necessary elements of high-quality teaching, such as the expertise of those who teach, do not appear to be under consideration. If the TEF is based on measures that are unrelated to the quality of teaching, then it will end up measuring institutional game-playing rather than excellent teaching. If this happens, then the TEF will not lead to improvements in the quality of teaching in universities.